BHOPAL: Now domestic consumers on Madhya Pradesh can produce their own electricity through solar panels on rooftops. If production is more than the household requirement at any time during the day, then it can be contributed and fed to the grid. Consumer contribution to the grid will get paid by means of adjustments and subtractions in bill payments. The Shivraj Singh Chouhan government on Friday approved the Madhya Pradesh Renewable Energy Policy 2016 with the slogan "Har Chhat Par Muskurata Suraj (Smiling Sun on Every Rooftop)". Notification will be issued by early next week and then consumers can apply to install solar panels on rooftops. Speaking to reporters, principal secretary renewable energy Manu Shrivastava said, "The government will provide 30% subsidy to domestic consumers to install solar panels on rooftops or in any space available on the ground. Government buildings will get a higher 45% subsidy and certain government undertakings will get subsidy of 50%. Colleges and educational institutions can also install solar power units wherever free space is available on the ground." Shrivastava explained that a domestic consumer can install a 3 KW power unit on the rooftop for Rs 2.5 lakh. With 30% subsidy, the consumer pays only Rs 1.75 lakh. The unit will have a life of about 25 years and electricity bills will be reduced by half, the government claimed. 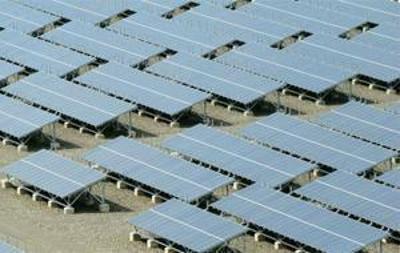 Subsidy, however, will be paid only if the solar panels are manufactured in India.